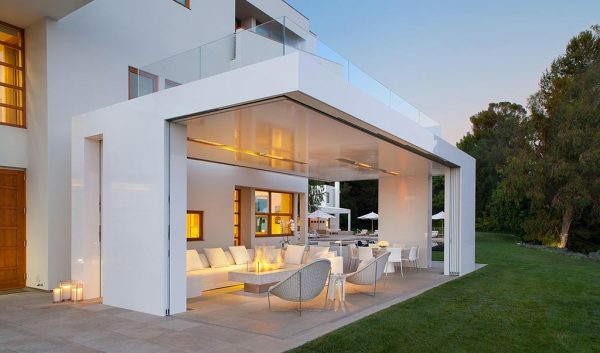 The Dana Point residence is designed to let its focal point, the Pacific Ocean, be a critical part of the experience. 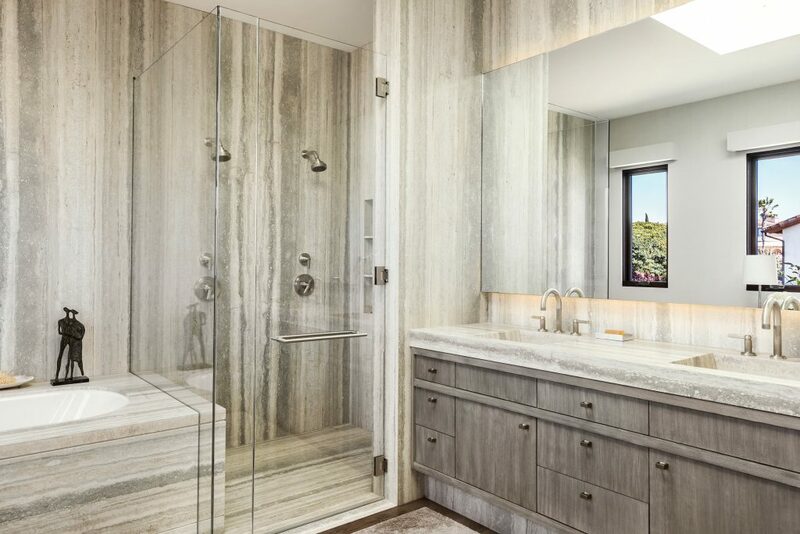 Situated in a private gated enclave, this “Winter Home” is oriented to maximize its view of the Ocean, within walking distance to beautiful surf in Dana Point. A muted palette of neutrals and wood allows stunning blue ocean views to shine from most rooms in the two-level home. 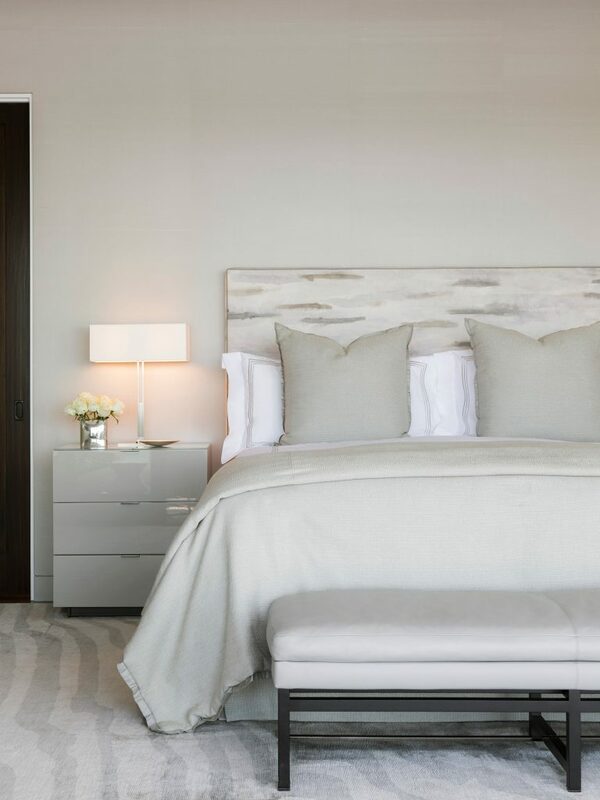 Rios Clementi Hale Studios was hired by the couple to provide comprehensive interior design for this 3 bedroom, 4 bath developer designed and constructed residence. The designers modified the developer base plans, including the architecture and interior architecture, to suit the way in which the client would live in this home. 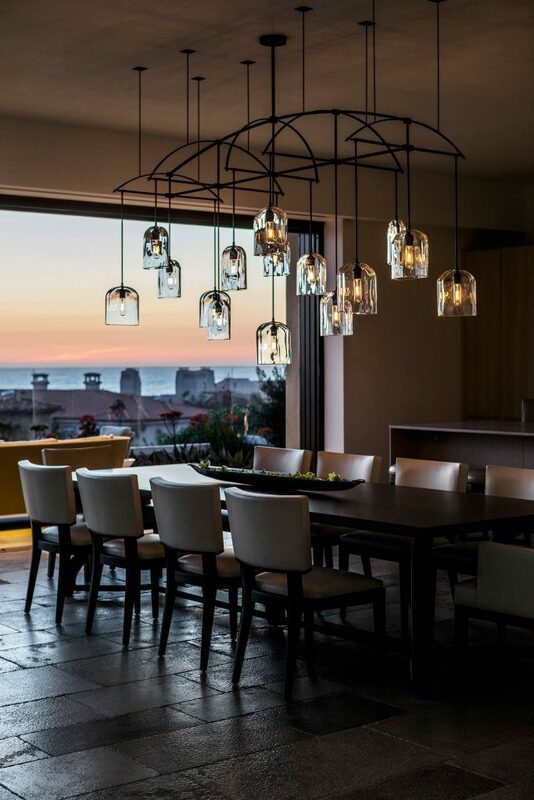 The design of the interiors extended to the selection of furniture, lighting, finishes, custom cabinetry and metalwork, as well as curation of the owner’s art collection within the home. 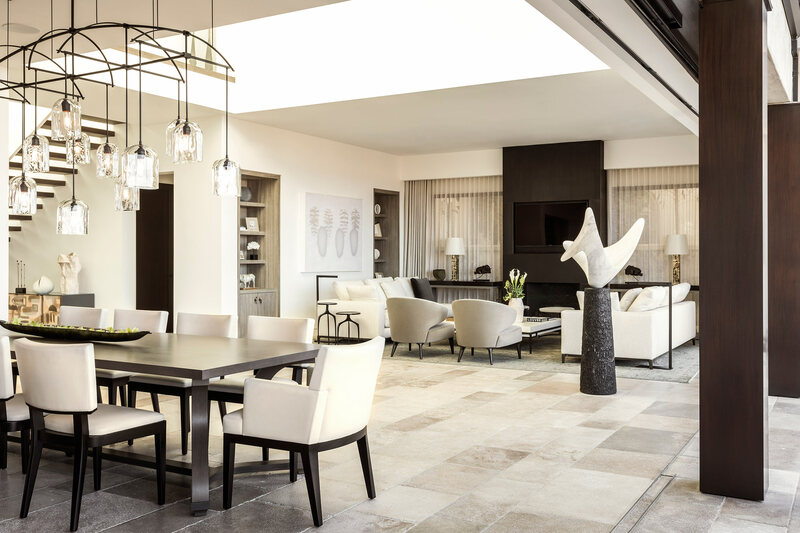 On the ground level, a spacious open kitchen, dining, and living space opens to the pool deck. 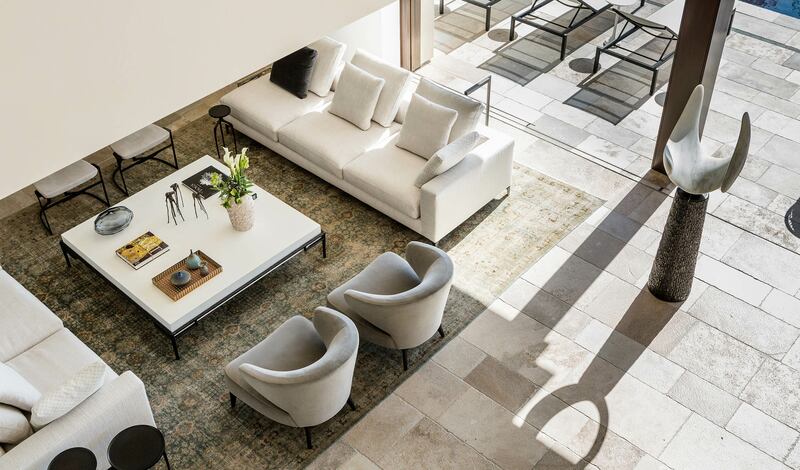 Stone floors flow contiguously on this ground level to connect the indoor and outdoor spaces through large expansive openings in the back façade, physically extending the living area to an outdoor living room and gathering area designed to complete the style of home. 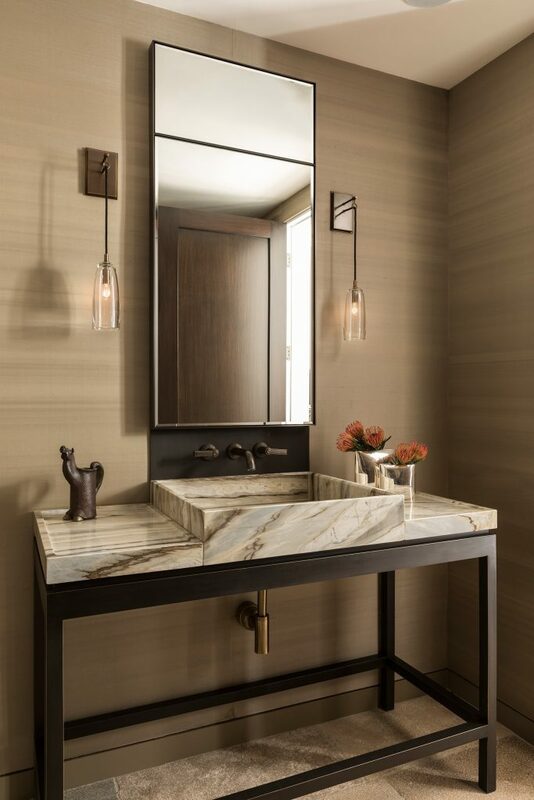 In the powder room, a custom metal and marble vanity anchors the space. 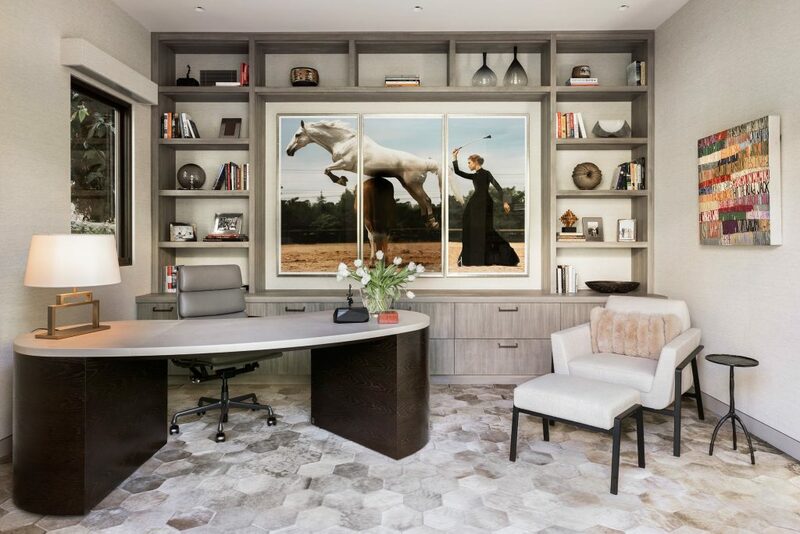 A private office on the ground level is situated at the front of the home, which is elegantly yet minimally detailed to let selected touches like cabinetry and art enliven the space. In the atrium, a wood stair ascends to the second level where dark wood floors ground the private spaces. A Sunset Den was seen as a destination point to enjoy views of the surf and sunsets. This is where the calm muted tones of the house are punctuated with a dynamic Rorschach wall graphic and bold colored accent seating. The master suite has a balcony facing the ocean, with his & her closet and ensuite bathroom. Additional private spaces round out this floor: A Sunset Den, two guest rooms, and a personal gym occupying a possible fourth bedroom. 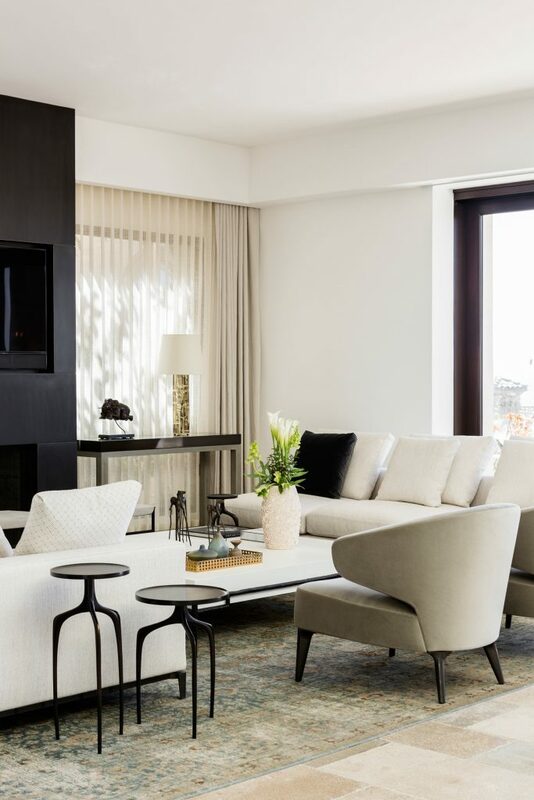 Throughout the home comfortable seating, plush fabrics, and subtle patterns in wall coverings and stone are balanced to give character to the spaces but not compete with the Ocean views. 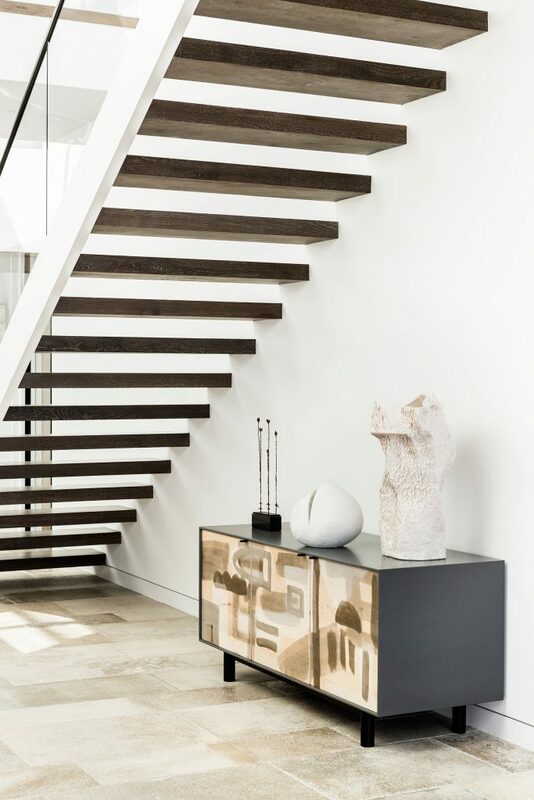 The materials—stone flooring, a wood and steel stair, glass guardrail, bronze finished handrails and fireplace surrounds, oak flooring, and wallcoverings—harmonize in an elevated, modern beach aesthetic. 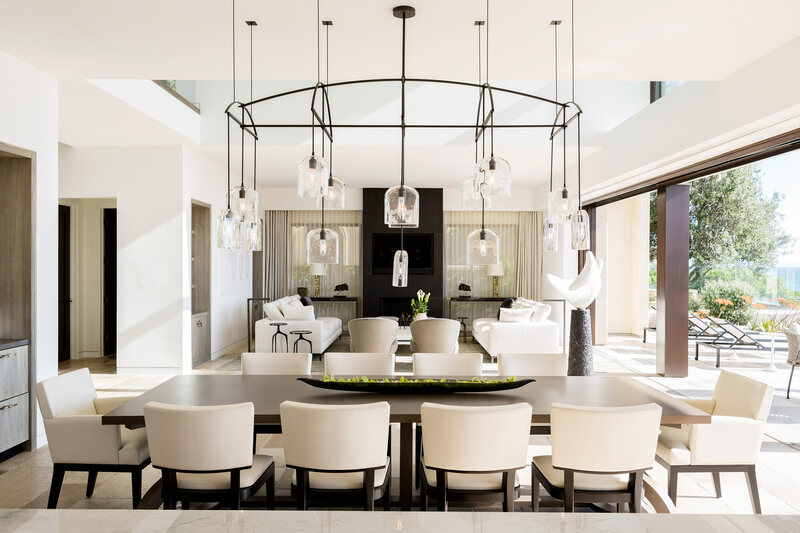 The design focused on attention to detail in the placement of lighting paired with luxurious finishes to complement the impressive double height atrium, ocean views, and collection of art. Outside, RCH Studios provided landscape design to complement the interior and outdoor flow of the house. The house is sited tightly onto the flat level pad with a clear view to surf and ocean. 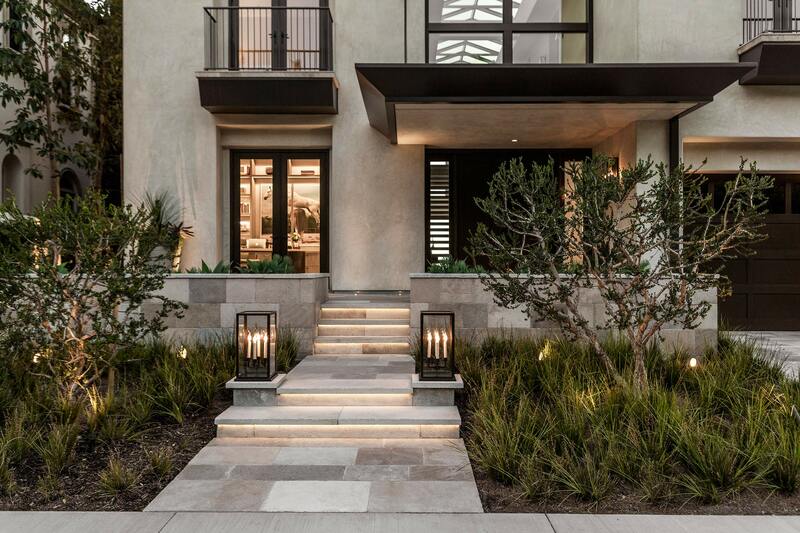 RCH Studios designed the entry sequence and soften the hard stone and stucco surfaces that abound on the exterior. 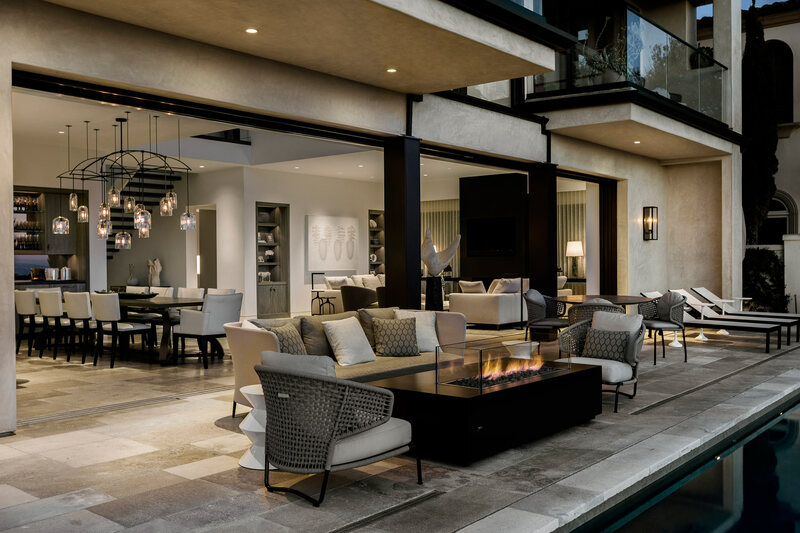 The pool deck is set with a custom metal firetable, which complements the custom fireplace wall inside, and verdant plantings that contrast the neutral exterior tones and frame the extravagant ocean view.